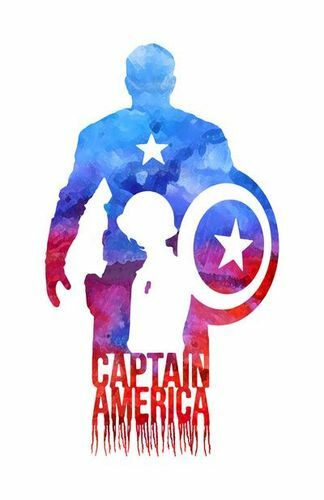 Born to poor Irish parents Sarah and Joseph on July 4th of 1920, Steve Rogers spent his childhood dealing with the consequences of poor health. However, he never let his smaller size and lack of endurance get the better of him. 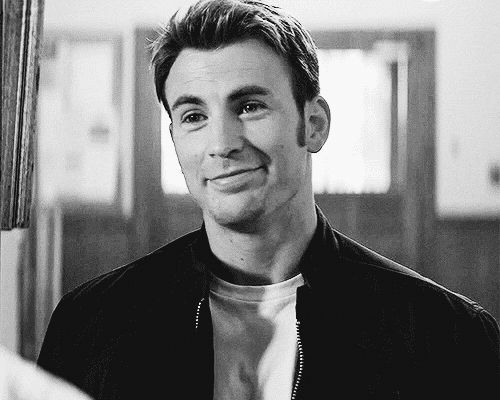 The scrappy youngster found a friend in Bucky Barnes and they were rarely found apart, especially when Steve lost his father as a child and then his mother as an older teenager. From his experiences in childhood as being a perpetual target of bullying, as well as the loss of his parents, there stemmed a self-reliance and staunch belief in standing up for the downtrodden of society. 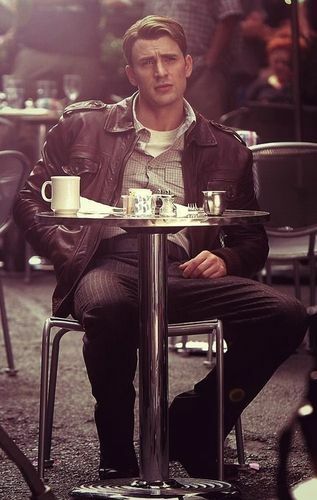 World War II and the actions of the Nazis horrified him and though his health kept him from following his friends into the ranks of the Armed forces, an offer from a scientist recognizing greatness within invited Steve to be exposed to the Super-Soldier Serum. Successful results brought the young man to peak health and physical capability. Missions along the front lines sent him into collision with the secret science division of the Nazi regime and thus, revealed that Steve was not the only powerful human within the world’s military factions. He spread righteous fear in the wake of his patriotic costume and signature vibranium shield. Coming to blows with a powerful villain left him entombed in ice as the only available action to save America from a devastating weapon. 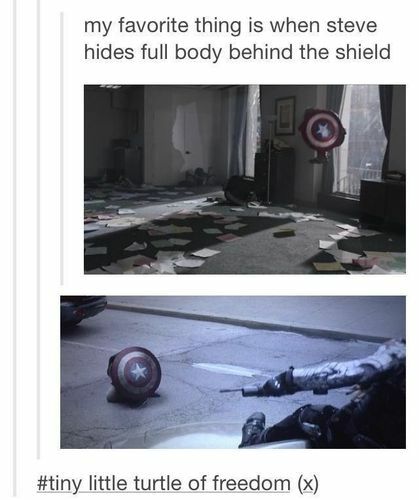 There Steve slept in a form of cryogenic rest until recovered by SHIELD. Time has passed, the world has changed, and while Steve has been acclimating well, old memories still haunt…and some simply won’t die. Change of player in February 2018, in-game February 1965. Super-Soldier Serum: Via this infusion, Steve has attained peak human potential for his entire physiology, from inherent physical strength to endurance and beyond. Strength: Able to press-lift up to 800 lbs and jump 20 ft with a running start, his power extends to other actions as well. Throwing his signature shield has been powerful enough to disable tanks and a steel door means little in the face of a well-placed kick. Agility and Reflexes: Able to run at sustained speeds of 30mph and double this in short bursts, Steve is also able to dodge bullets when given the opportunity. His evasive abilities have saved him multiple times in the past, both by avoiding damage and offensively attacking a foe. Durability and Stamina: The serum strengthened his musculature and bones enough to the point that very little bothers him in a scrum. This grants him near-superhuman resistance to damages such as explosions and high-impact landings. A metal baseball bat would do little damage, even if swung with comparable strength; the bat might even bend in reaction to impact. His metabolism has increased to the point that fatigue is a hard state for him to reach and he has not aged a day since his infusion. Healing: The serum's effects grant Steve an immunity to Earthly diseases as well as a resistance to being drugged, poisoned, hypnotized, or becoming intoxicated. That last one is a shame sometimes. 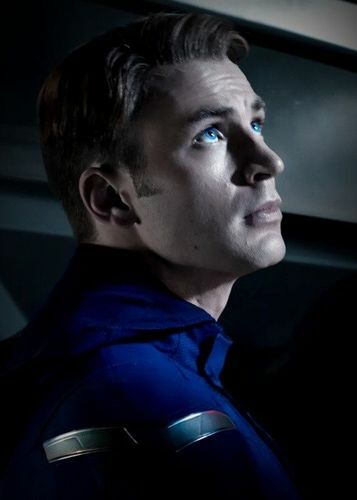 Mental and Sensory Acuity: Already prone to analytical thought patterns, eidetic memory and accelerated efficiency of thought processing allows Steve to be an incomparable tactician on the battlefield. Tactician: His military experience and discipline allows Steve to be an expert at formulating battle strategies both in active action and off the battlefield when meeting with fellow compatriots. His knowledge of the armed forces allows him the ability to fight in nearly any situation that requires habits and/or proficiency in the technology of the time as well as basic survival techniques. Combat: Training in multiple styles of boxing gives Steve a solid fighting chance when disarmed of his shield or other weaponry. With shield in-hand, the soldier is at his deadliest, having had many years to master its unique physical properties. He is also extremely knowledgeable in firearms. Driving Skills: Steve is a masterful driver in many popular military vehicles of the time as well as the more common motorcycle. This includes aerial and oceanic machines such as airplanes and submarines. 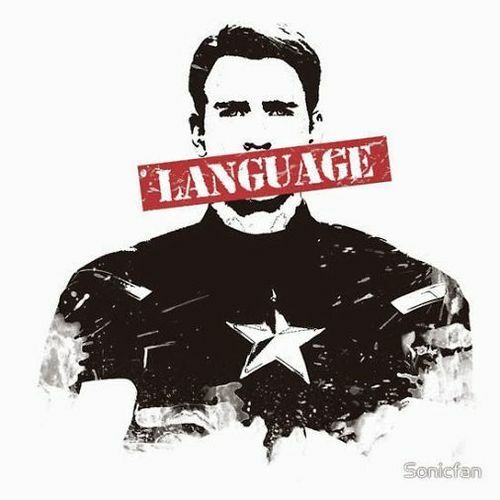 Multilingual: Steve is fluent in English as well as German and Russian. His Italian and French are passing (no disguising that Brooklyn accent) and he can hobble his way along in Japanese. Artistry: Sketching has been a long-time hobby and the soldier indulges in it when he has free time. With the years of experience, he could easily take up a side-gig as an illustrator in realism and some cartoon. 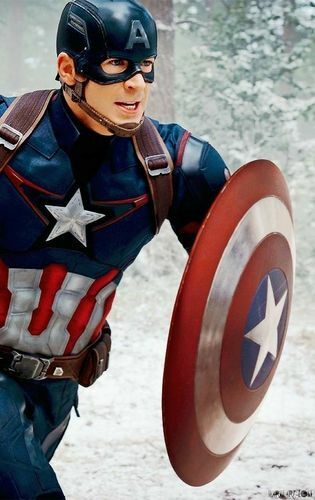 Shield: The signature vibranium-steel alloy shield, painted in patriotic colors and bearing the white star, is impossibly resilient. Its aerodynamic shape and inherent properties allow it amazing feats when thrown, such as ricocheting from objects while causing damage and not sustaining any itself. It can stop bullets by absorbing the impact force alone and does not dent. Molecular bonding remains the weakness of the pseudo-weapon. Uniform: A sturdy blend of Kevlar and titanium, it grants Steve various and moderate resistances to things such as electricity, high temperatures, and fall impact. Common edged weaponry cannot pierce it (glass, most metals, wood). It does not block projectiles such as heavy-grade bullets. It generally comes with a utility belt containing various useful items (first aid kit, grenades, rope). Connections: With a vaunted history of protecting the downtrodden, the man has accumulated a number of contacts in the various human and metahuman factions throughout the world. It's not impossible for him to call in a favor or be called upon in turn. 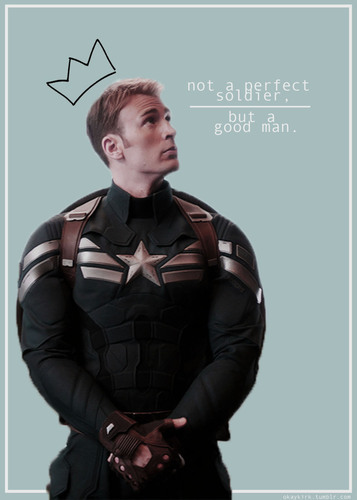 Strong-Willed: Inherently staunch by nature, this aspect is refined by the serum and reflected in Steve's actions. Very little sways him once he's made up his mind and it tends to be for the betterment of mankind as well as the pursuit of freedom from forms of tyranny. This grants him a near immunity to mental invasions, though a clever and quick opponent could temporarily overpower his mental resistances. Loyalty: When Steve gives a promise, it is ironclad. His personal code of honor doesn't allow him to break these promises, even when it costs him dearly. He will not cheat, lie, or swindle to get out of such a thing. Enemies: One does not topple evil regimes without the potential for starting some long-lasting grudges. 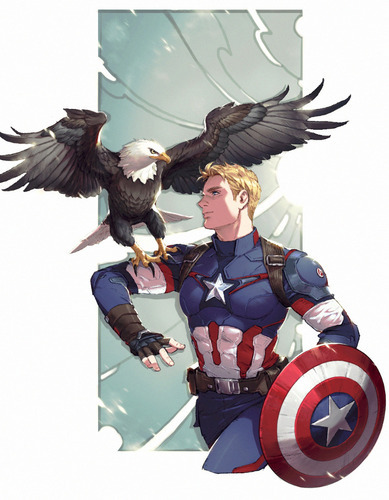 Steve is well-known not only in the world of freedom-fighters, but also by those who would attempt to take away the ability to be more than a drone in a grey existence. Thus, he is a target and by proxy, those around him, be they family, friend, or work associate. Outdated Visionary? : With the passing of the years, it seems to Steve that his fight for freedom and general outlook on the world may become antiquated. When he was a soldier, the world appeared a simpler place. Now, he fights to balance his own ideals against those of a society intent on making him out to be the hero above all. Old-Fashioned: What's an optical disk? Steve has some catching up to do with the nuances of today's society and that can be awkward from time to time. His manners likely come off as overly-polite and that can throw people who are expecting him to be blunt. He also has a tendency to believe the best of people, even when others are expecting a dagger in the back from said people.